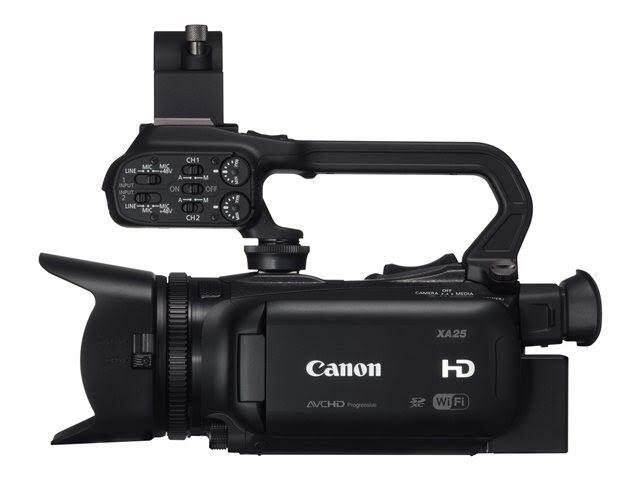 The XA25 is a compact, high-performance professional camcorder designed specifically for ""run-and-gun, "" ENG-style shoots with enhanced I/O connectivity. The XA25 offers a unique combination of high-precision optics, outstanding image processing, multiple recording formats, flexible connectivity and intuitive user features. But its compact design does not mean compromised functionality - this small and lightweight camcorder meets the quality and performance standards necessary for use in a wide range of applications, including news gathering, law enforcement and military, education and documentary, among others. 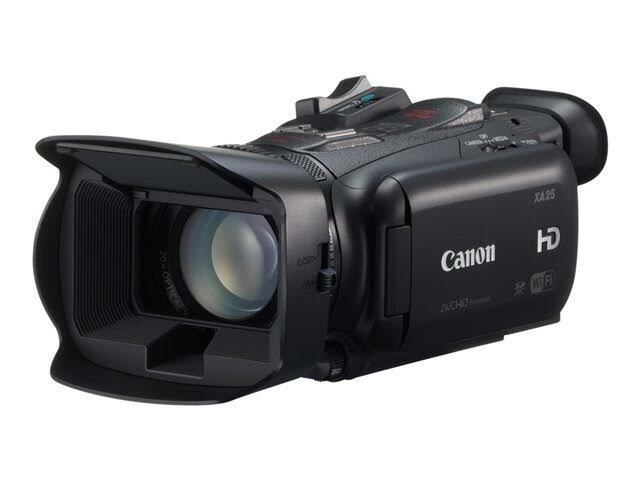 A powerful genuine Canon 20x HD video lens with SuperRange optical image stabilization and a 8-blade circular aperture extends user creativity, while a 2.91-megapixel Full HD CMOS Sensor and DIGIC DV 4 Image Processor capture superb images with outstanding clarity. A 3.5-inch OLED touch panel display with the equivalent of 1.23 million dots of resolution offers a high contrast ratio, a wide-view angle and high-speed response, while a pair of SDHC/SDXC-compatible card slots enables relay recording, double-slot recording, and dual recording, which enables the XA25 to capture video in different recording formats simultaneously. An HD/SD-SDI port allows uncompressed video with embedded audio and timecode data to be output to video editors, recorders, news trucks, workstations and other digital cinema/TV hardware, with greater image fidelity than standard HDTV format.